The tragic Gulfstream IV accident in Boston has been on my mind lately, partly because I fly that aircraft, but also because the facts of the case are disquieting. While I’m not interested in speculating about the cause, I don’t mind discussing factual information that the NTSB has already released to the public. And one of the initial details they provided was that the airplane reached takeoff speed but the pilot flying was not able to raise the nose (or “rotate”, in jet parlance). My first thought after hearing this? “We don’t train for that.” Every scenario covered during initial and recurrent training — whether in the simulator or the classroom — is based on one of two sequences: a malfunction prior to V1, in which case we stop, or a malfunction after V1, in which case we continue the takeoff and deal with the problem in the air. As far as I know, every multi-engine jet is operated the same way. But nowhere is there any discussion or training on what to do if you reach the takeoff decision speed (V1), elect to continue, reach Vr, and are then unable to make the airplane fly. You’re forced into doing something that years of training has taught you to never do: blow past V1, Vr, V2, and then attempt an abort. In this case, the airplane reached 165 knots — about 45 knots beyond the takeoff/abort decision speed. To call that uncharted territory would be generous. Meanwhile, thirty tons of metal and fuel is hurtling down the runway at nearly a football field per second. We just don’t train for it. But maybe we should. Perhaps instead of focusing on simple engine failures we ought to look at the things that are causing accidents and add them to a database of training scenarios which can be enacted in the simulator without prior notice. Of course, this would have to be a no-jeopardy situation for the pilots. This wouldn’t be a test, it would be a learning experience based on real-world situations encountered by pilots flying actual airplanes. In some cases there’s no good solution, but even then I believe there are valuable things to be learned. 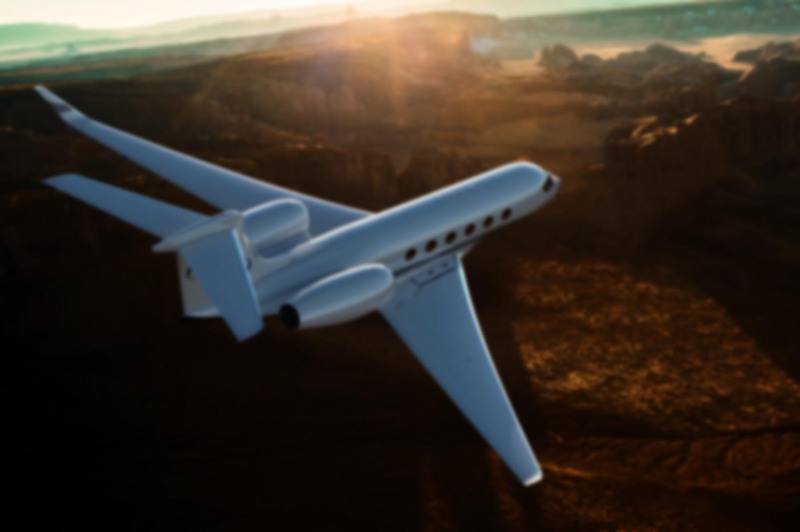 In the case of the Gulfstream IV, there have been four fatal accidents since the aircraft went into service more than a quarter of a century ago. As many news publications have noted, that’s not a bad record. But all four have something in common: each occurred on the ground. October 30, 1996: a Gulfstream IV crashed during takeoff after the pilots lose control during a gusting crosswind. July 13, 2012: a G-IV on a repositioning flight in southern France departs the runway during landing and broke apart after hitting a stand of trees. In the few years that I’ve been flying this outstanding aircraft, I’ve seen a variety of odd things happen, from preflight brake system anomalies to flaps that wouldn’t deploy when the airplane was cold-soaked to a “main entry door” annunciation at 45,000 feet (believe me, that gets your attention!). This isn’t to say the G-IV is an unsafe airplane. Far from it. But like most aircraft, it’s a highly complex piece of machinery with tens of thousands of individual parts. All sorts of tribal knowledge comes from instructors and line pilots during recurrent training. With each anomaly related to us in class, I always end up thinking to myself “we should run that scenario in the simulator”. Cases like United 232, Apollo 13, Air France 447, and US Air 1549 prove time and time again that not every failure is covered by training or checklists. Corporate/charter aviation is already pretty safe… but perhaps we can do even better. I think this sentence Somes up some important factors. We can only train for what we know. If you look at any PTS, it’s based on actions a d maneuvers that have gotten. Pilots and aircraft in trouble previously. Some might say you can’t even train for not being able to train for not being able to rotate at VR, or even that Main Door chime at FL450 (I don’t think there is mulch useful consciousness at that altitude) or even being shot Down like MH17. But some airlines and operations Do. I know all ELAL pilots go through evasive action training from SAM missiles because their aircraft are equipped to defeat such a thing. Maybe we should train for everything we can think of. I guess the main part of being a pilot is making good decisions when things happen. I can’t think of any flight where it just went 100 percent to perfect. Be it a cloud I didn’t like in the wrong place or an bonanza turning final even though I’m ahead of him in a 152, things happen. Part of a pilot’s job is to have a solution ready when something bad happens. Whether it’s a deranged person trying to get into the cockpit or a dual engine flameout, the best possible time to come up with an answer is before the problem presents itself. You see this in primary training. What if…. the engine quits? What if… you get lost? What if… there’s a fire/lost comm/IMC encounter/etc? In aerobatic training, it’s: what if you get into a spin or unusual attitude? What if there’s a structural failure? While I understand that an infinite number of variables cannot necessarily be accounted for, we can at least look at the accident/incident history of the aircraft and/or type of operation to see how metal is getting bent and adjust the training accordingly. In jets, I don’t see engine failures causing accidents. That’s not to say they cannot fail. But it doesn’t seem to be the way pilots are hurting themselves. In theory, these training adjustments are within the FAA’s perview. Unfortunately, what we often get from the Feds are knee-jerk reactions that make little sense. Example: the 1500 hour rule in response to the Colgan Buffalo accident. I don’t know anyone in the industry who thinks that is going to make flying safer or solve the deficiencies which precipitated that crash. Apropos Vr, there was a high-profile fatal accident like that in Yaroslavl, Russia, in 2011 or so. It involved Yak-42, a 727 class jet. Someone on the flight deck put enough pressure on toe brakes to create a nose-down moment that prevented rotation even with full nose-up trim. Once the airplane rolled off the end of the runway, the friction abrubtrly decreased in the mud, it immediately pitched up hard, stalled, and crashed. The investigation commission speculated that a contributing cause could be a different pedal arrangement in Yak-40, with which the F/O had extensive experience, and recommended special training on foot positioning for those transitioning from -40 to -42. I’m not saying that cause of Boston crash was in any way related, just that some very freak accidents can happen. Does not even need to involve any of the odd mechanical malfunctions like those mentioned above. Great data point. I’d never heard of that accident. Isn’t it amazing how good we are at finding ways to break things? Who would have thought that something as simple as a slight change in the design of a food pedal could cause a departure stall? Actually, the pedal issue is a hot topic in tailwheel airplanes. With no nosewheel, it’s critical that any passengers or non-flying students stay off both the rudder and brakes during takeoff or landing. There was a Stearman a few years back that nosed over on landing because the brakes were somehow set. I am reading “Understand Air France 447” right now and it is AMAZING what is not trained for, or not trained thoroughly enough for. As you put it, “having a solution ready” is critical. In a high stress situation people in bad situations (the author points to police, fire fighters, soldiers) always talk about “the training kicked in.” It’s not a time where you reason out the best solution. So if you don’t train for it, you aren’t going to get a solution in time. Yes, it’s amazing to think about all the situations which are not specifically trained for. But time and money are finite limitations, so we have to do the best we can with what we’re given. The fact that accidents are rare with Part 25 aircraft suggests we’re not doing that badly. But there’s always room for progress, especially if the changes are not accompanied by the need for a bunch of money. As you noted there have only been 4 accidents in this aircraft which may be part of the problem. As pilots we sometimes become complacent because rarely does anything go wrong or even grab our attention, but when it does we are stunned. All the time in a simulator, all the practice of emergency procedures and all the flights we make can’t possibly prepare us for the unusual and unexpected. First and foremost it is attitude – we must always be prepared for the worst and be vigilante – flying airplanes can be dangerous. “Hazard created by a good safety record”. That’s a mind bender — and something I hadn’t considered. But now that you mention it, I’ve seen that phenomenon in the Pitts. Over the years I’ve noticed that I make my best landings in the worst weather conditions. When the air is smooth and calm, my landings aren’t as quite as good. I think it’s because the hyper-awareness isn’t there. You know, that feeling that this could be the landing where the airplane gets the better of you unless you’re really on top of it? I wouldn’t go so far as to call it complacency, but it’s difficult to pretend that the wind is gusting and the runway short & narrow when it’s not. Vigilance and attitude are definitely vital. Perhaps the real question is how can best maintain those over long periods, especially in highly familiar aircraft and environments. Nice write up Ron. As we discussed in class, the least likely things are truly the things that we don’t train for. What are the odds of that second engine shutting off after an initial engine failure? There are a number of scenarios that can take a pilot out of his/her comfort zone and create an outcome that is fatal. I’m always amazed at how “safe” aviation is considering the complexity of aircraft over the last 50 years. Talk soon. I’m amazed by that as well. The elegance and reliability of truly critical components like powerplants and spars is a testament to the engineering prowess of those who built them. Since most bent metal is due to human error, it seems that quality training is one of the best safety investments we can make. Thanks again for the great class! You are right, maybe we should train for aborts beyond VR speeds. There is at least one example of an excellent job of airmanship during the abort of a Midwest Express MD-88 in Newark. It’s hard to get your brain around an abort when you have been trained to get airborne and then deal with a problem. This Midwest Express crew had little or no time to think about it. They aborted and it resulted in the crew being given the Superior Airmanship Award from the Airline Pilots Association. I was present at the awards ceremony and the narrative sent chills up my spine. I agree that 99% of the time, aborting above V1 is going to end badly. Actually, high speed aborts even below V1 often end that way. But every now and then something happens and the plane won’t fly. I found it interesting that the Milwaukee Journal Sentinel article quotes the senior VP of the airline saying that the pilots “did what they’re trained to do”. If they received any training on that kind of scenario, it’d be the first I’ve ever heard of! Hey! He’s management. Would he really know? Perhaps he is one of the reasons they went out of business. I went to a safety seminar at OSH just yesterday where Greg Fieth mentioned his interpretation of that investigation in one of four accidents he discussed. At least I hope it was the same accident that involved a well known business exec. No preflight performed to unlock elevators or check controls before T.O. he said. It’s been a good airventure by the way! Greg was referring to the G-IV accident in Boston? I’ll be interested to see what the final report says, because taking off with the gust lock engaged should not be possible since the it also mechanically limits the power levers to no more than 6% thrust. Glad to hear OSH14 has been a good one! I always feel like I’m missing out, but this year in particular since everyone’s talking about how improved the attendance and energy are at this year’s show.